Sydney is known for nightlife, trails, beaches, parks, and museums. Your plan includes some of its best attractions: see a show at Sydney Opera House, appreciate the extensive heritage of The Rocks, see the interesting displays at Australian National Maritime Museum, and take in nature's colorful creations at Royal Botanic Garden Sydney. For photos, more things to do, and more tourist information, use the Sydney planning tool . Melbourne to Sydney is an approximately 3.5-hour flight. You can also do a combination of shuttle and flight; or drive. Prepare for a bit warmer weather when traveling from Melbourne in May: high temperatures in Sydney hover around 24°C and lows are around 14°C. Wrap up your sightseeing on the 17th (Fri) to allow time to travel to Byron Bay. 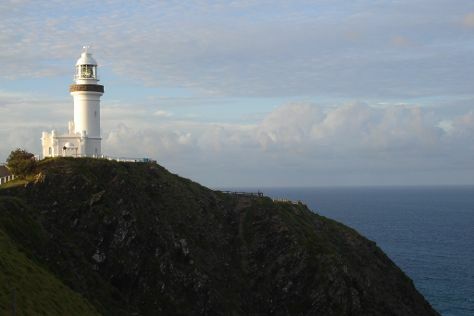 On the 18th (Sat), head outdoors with Getaway Girls, trek along Cape Byron Walking Track, and then enjoy the sea views from Cape Byron Lighthouse. To find other places to visit, maps, more things to do, and more tourist information, use the Byron Bay trip itinerary planner . Traveling by combination of flight and bus from Sydney to Byron Bay takes 4.5 hours. Alternatively, you can drive; or do a combination of train and bus. In May, daily temperatures in Byron Bay can reach 27°C, while at night they dip to 12°C. Finish up your sightseeing early on the 18th (Sat) so you can catcht the bus to Gold Coast. 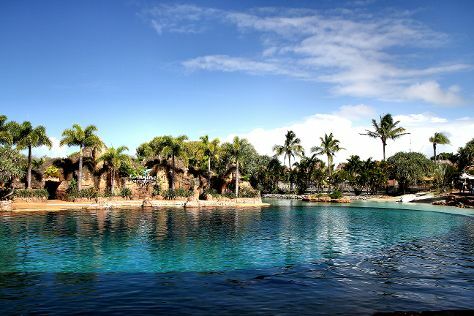 Start off your visit on the 19th (Sun): get up close and personal with brilliant marine life at Sea World Theme Park. To see ratings, reviews, maps, and more tourist information, go to the Gold Coast trip maker site . Traveling by bus from Byron Bay to Gold Coast takes an hour. Alternatively, you can drive. In May, daytime highs in Gold Coast are 27°C, while nighttime lows are 15°C. Cap off your sightseeing on the 19th (Sun) early enough to go by car to Brisbane. Kick off your visit on the 20th (Mon): admire the natural beauty at Roma Street Parkland and then let little ones run wild at South Bank Parklands. Keep things going the next day: get great views at Mount Coot-tha Lookout, then look for all kinds of wild species at Lone Pine Koala Sanctuary, and then get your game on at Zoccer Sports - Bubble Soccer. 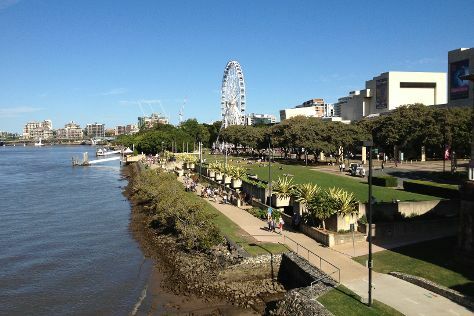 To see maps, photos, ratings, and more tourist information, use the Brisbane trip itinerary planner . Drive from Gold Coast to Brisbane in an hour. Alternatively, you can take a bus; or take a train. In May, daily temperatures in Brisbane can reach 27°C, while at night they dip to 15°C. Cap off your sightseeing on the 21st (Tue) early enough to travel back home.